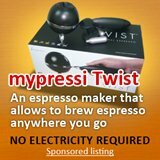 Why a cheap coffee grinder would not be my choice? 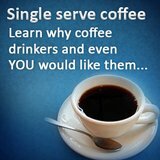 So you want to buy a coffee grinder! It must also be a cheap coffee grinder? 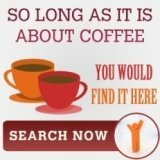 No doubt you have carefully read and researched all of the coffee grinder reviews and have noticed that there is a distinct difference in price between the range of cheap coffee grinder and the range of expensive coffee grinder. The reason or this difference is in the fine print. A coffee grinder is not always a coffee grinder. 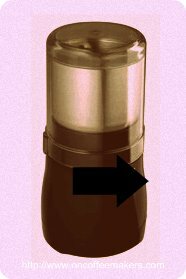 As the name would suggest, the function of the coffee grinder is to crush the coffee bean between two surfaces and convert the whole bean to coffee grounds. However, the process of grinding should not mangle the coffee bean in such as way that all of its residual oils are extracted in the process. The grind must occur in such a way that the grounds are uniform in size and the pieces are large enough to allow for the percolation process to take place. Your expensive coffee grinder will have two conical burr grinders that will convert the whole coffee beans into uniformly sized grounds. Once a certain size of ground is reached – some of the more expensive models will allow some adjustment of degree of grind – the coffee grounds will pass between the burrs and will not be ground further. The cheap coffee grinder, on the other hand, does not have conical burr grinders. It makes use of blades to reduce the coffee beans to a mass of chopped pieces. The thing with the cheap coffee grinders is that they resultant grounds are not uniform is size. Is this important? If the grounds are uniform in size, they are able to fill the filter basket in such a way so that the hot water has to percolate through the coffee grounds and thus the coffee is released. If the coffee grounds are not uniform in size the coffee grounds are not distributed uniformly in the filter basket and the hot water will choose the path of least resistance. Where there is a gap between two larger pieces the water will pass through and thereby avoid extracting the coffee from the coffee grounds. The result is weak coffee as well as a waste of coffee grounds not optimally used in the filter basket which in turn will translate directly into a waste of money. 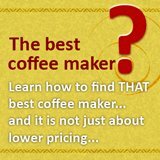 If you cannot afford a conical burr grinder then perhaps you should consider purchasing coffee grounds instead as this will be be the best chance of the optimal use of the coffee grounds in your filter basket.